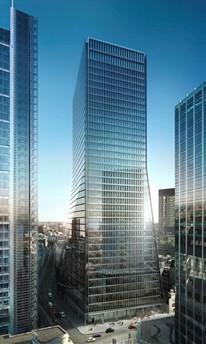 Brookfield is the largest office developer who has proposed the construction of the city’s biggest skyscraper. The proposed construction is about £1 billion which is estimated to be finished by 2018. The North American owner of 93 million feet of office space around the globe has never before built without a pre-let. The Brookfield multiples will immediately begin work on the 613 foot superstructure of 100 Bishopsgate that has millions invested init. The multiplex will approximately be 900,000 square foot of tower. Brookfield’s decision to build without signed leases for at least some of the 37 floors is unprecedented. It has been reported by Knight Frank who are the building’s letting agent along with GM Real Estate said the City vacancy rates at 5.4% are at their lowest for eight years. Prime rents are up 4% since January to £65 per square foot. While we welcome the tallest skyscraper to London, office recycling is a concern due to the fact that there will be a lot of companies that will rent out the offices who may not recycle properly. As with most respectable developers we do believe that Brookfield will put measures in place to help its occupiers recycle rather than throw out.